When it comes to Social Media marketing Facebook might be King, but Instagram is most certainly Queen of the Social Media networks. With over 500 million monthly active users, there’s no denying that Instagram is a great place to market your business or product. Instagram’s popularity has grown at an alarming rate and as the number of users increases by the day so does the level of engagement. One of the most appealing things about Intagram is that the platform is ideal for businesses of all sizes. Whilst smaller brands often struggle to build a following on Facebook, Instagram’s use of hashtags makes it possible for companies of all sizes to be discovered with ease. Including Instagram in your social media strategy can undoubtedly lead to greater brand awareness and help generate more leads and conversions. 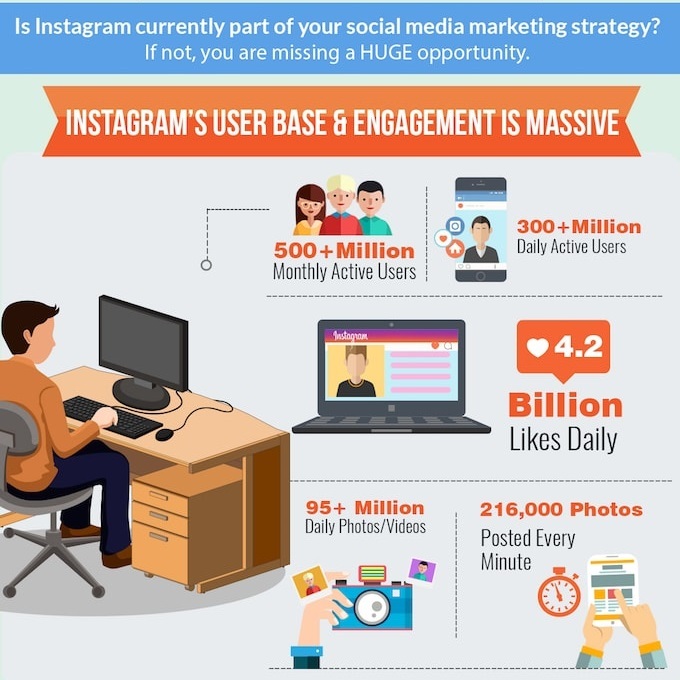 The infographic below, which was created by Buzzoid, identifies why so many marketeers are choosing to take advantage of Instagram; more importantly it highlights why every brand needs to be active on Instagram.